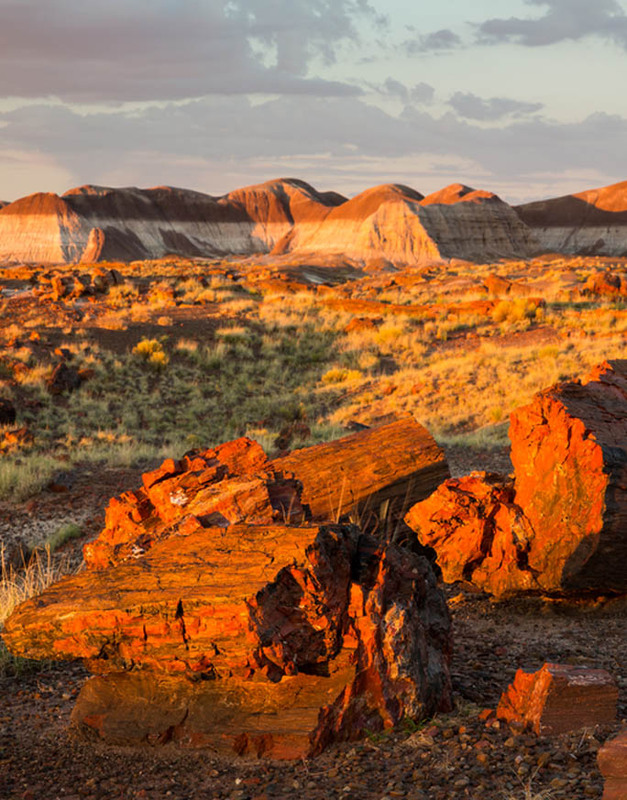 Accessibility Petrified Forest has much to offer all visitors—limitless views, a fascinating geologic story, some of the cleanest air in the United States, and an enthralling human history. The park also features rugged terrain and historic buildings that may offer challenges to visitors with disabilities. Many of the facilities in Petrified Forest were built before current accessibility standards were set. Visitors with mobility or sight challenges may need assistance. Several of the daily Ranger Programs are at least partially accessible to wheelchair users. Inquire at visitor centers for specifics. Protective walls and railings are intermittent. Trails Most trails are paved and barrier free, but several have grades in excess of ADA requirements. They can be at least partially explored, depending on visitor abilities, and portions of some trails are deemed accessible. Service Animals Fully-trained service animals are permitted in all park facilities, along park trails, and in the wilderness area. Animals must be on leash and physically restrained at all times. The Chinde Point picnic area has some accessible sites, including an accessible restroom. The Rainbow Forest picnic area has limited accessibility. * Entrance fees are free with America the Beautiful Pass. Pass may be obtained in person at a federal recreation site or through the mail using the application form. The cost of obtaining an Access Pass through the mail is ten dollars ($10) for processing the application (the Pass is free). Applicants must provide documentation of permanent disability and residency or citizenship.